One of my personal favourites. This is an early morning photograph when the sun was casting some fantastic light and drama to the landscape. 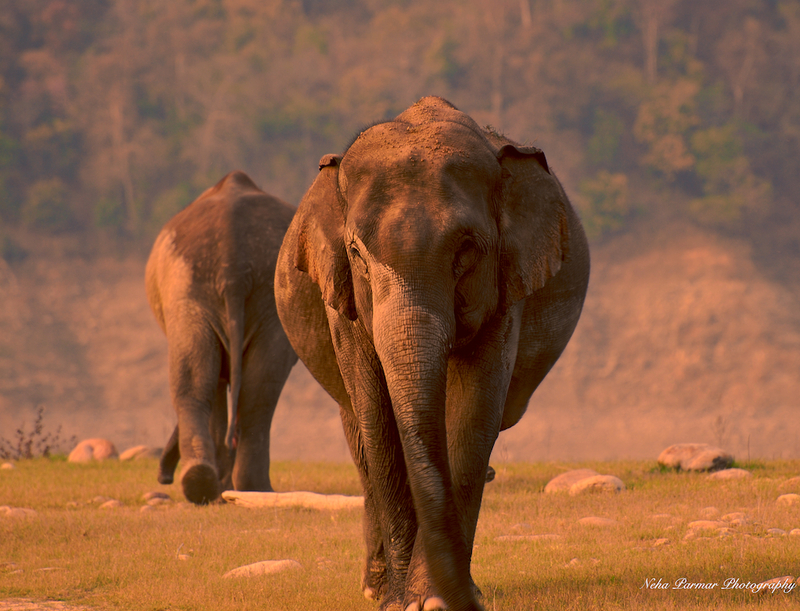 I was photographing a herd of elephants when I happened to spot these two elephants. It seemed like they were walking away from each other after a lover’s tiff. The light and the mud covering them seemed to flow from one to the other so seamlessly as if they were two sides to a coin. Incidentally I won the second prize in the Mercedes-Benz young star photographer competition in 2010 for this photograph. Welcome! lovely pic to start off.